Whether you're only staying in Barcelona for a few days or living here for months, you'll surely grow to love the city and its traditions (or we'd hope so). Here you have a list of 20 things that'll give you nostalgia for the city if you ever leave or give you ongoing memories if you stay. Remember when that time when she had a bikini while you were eating out? Yeah... No, that's the name that grilled cheese sandwiches have in Barcelona. If you're not from here you probably thought we were talking about something else entirely. Not your fault. Catalans are known for their, let's say strong character. If you've spent some time here you probably have one or two complaints about that... But admit it, you sort of like it. You'll simply never find thick hot chocolates as delicious and served as quickly as they are in the "Granjas" of Barcelona. Don't forget to order a side of churros with that mug. 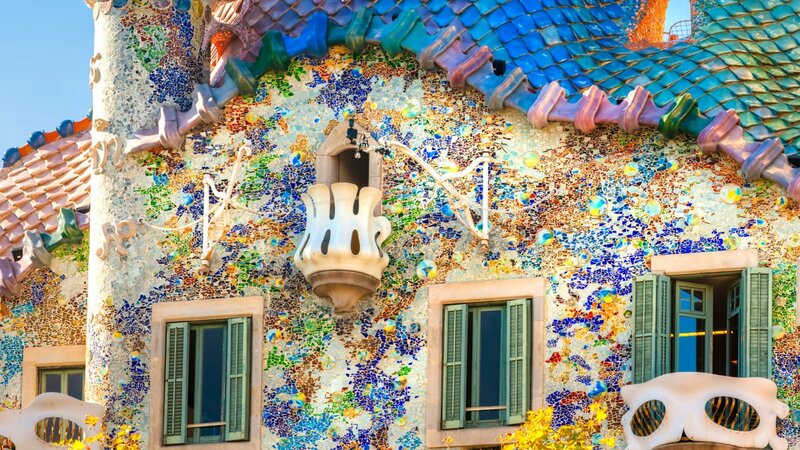 Artistic works can be found around every nook and cranny of the city, a large number are by none other than Gaudí, like Casa Batlló and Park Güell. The Sardana dance - a simple dance that brings communities together, during celebrations or simply every Sunday at the cathedral, because why not? It's as symbolic as it is a cool place to shop, but the fact that Las Arenas converted one of its main bull-fighting rings into a shopping centre shows how far gone are the days of bull-fighting slaughter in Catalonia. You can discover the place for yourself by visiting Las Arenas! Dragons can be found around many of the corners of Barcelona. The tale of Saint George and the dragon - the patron saint of Catalonia - means it forms an important part of the culture. 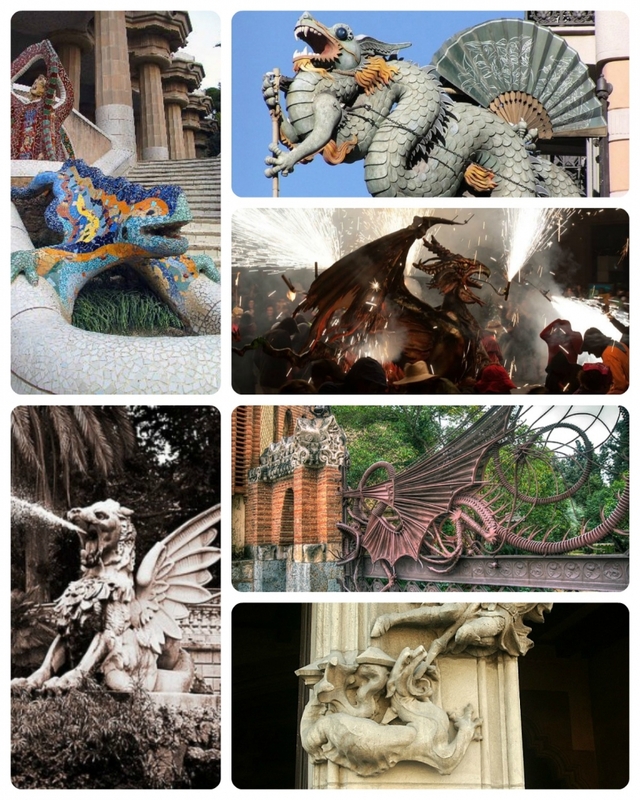 You can discover more of the story behind Barcelona's dragons here. 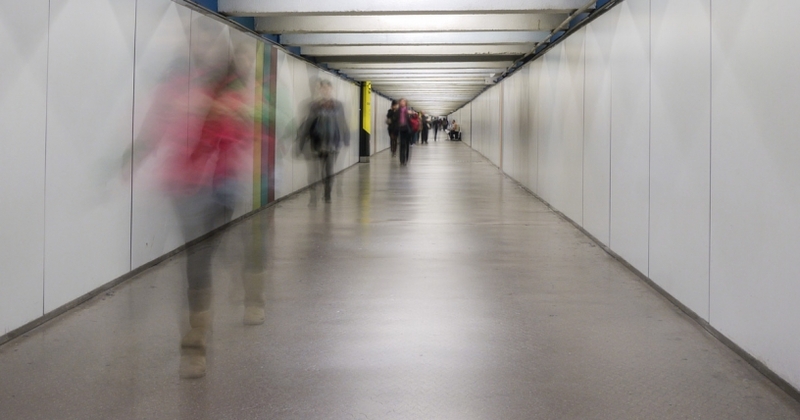 People don't do cardio at the gyms in Barcelona, they walk down this hallway. It might be a tourist trap these days, but the pleasant colours and vibrant atmosphere still have a wonderful charm. It's an aspect we can do without, but Barcelona wouldn't be Barcelona if you're not on the Metro suspiciously eyeing every 5th person with that "I know what you're up to" look. The best way to keep your valuables safe is to be aware of your surroundings, and not carry your wallet in the back pocket of your jeans. A clever strategy of pickpockets is to congregate around warning signs advising tourists that pick pockets operate in the area. On reading such a warning, it's a natural instinct to reach for your wallet to make sure it's still there, however in doing so you've just informed anyone watching where your money is. Keep that in mind! They're pretty Basque, but in Barcelona you can find places to eat them for as little as €1, see for yourself. If you have been living in Barcelona, but don't know what Castellers are, then perhaps you've not been living in Barcelona at all. These human towers usually form part of local festivities, but it's also a serious team sport that people train to do. 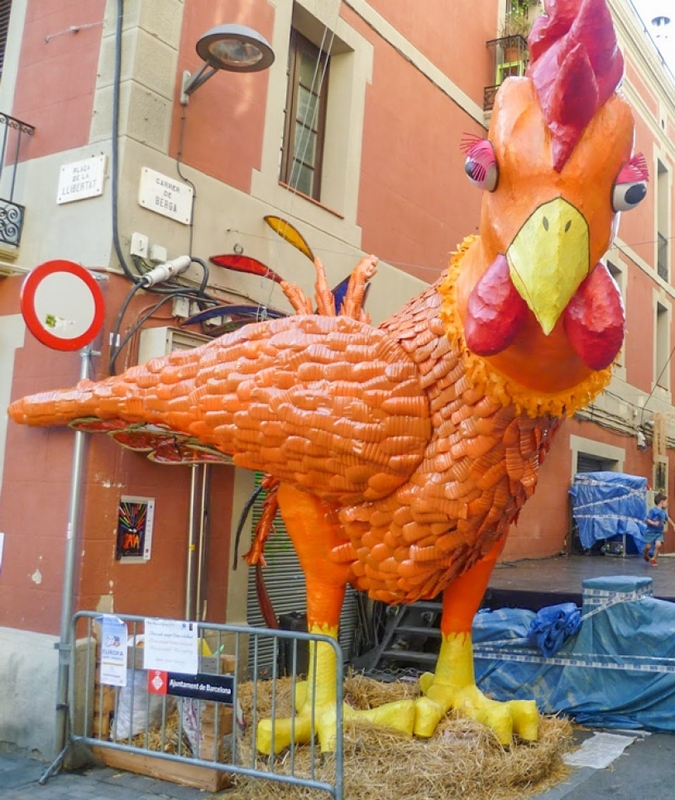 It's a strong part of Catalan culture and you really need to see one live! Probably the largest cat sculpture in the world. The Gato del Raval moved all around the city before settling in its permanent home on Rambla de Raval. It even got knit-bombed once, watch the video below! 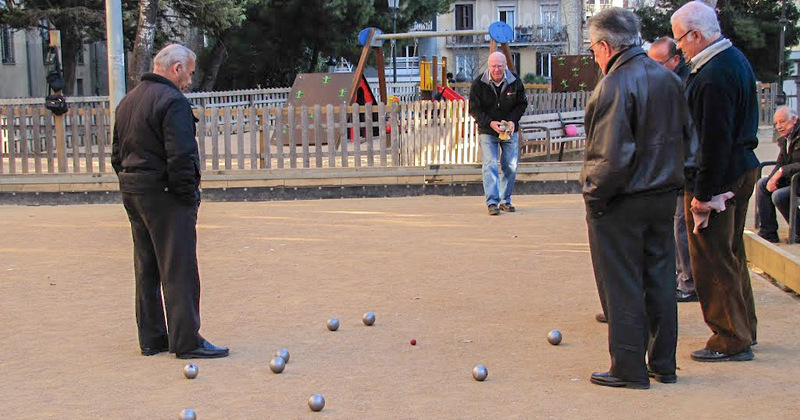 From Plaça de Lesseps to Passieg de Sant Joan, you'll find gangs of unruly elderly citizens hanging around the streets playing boules showing whippersnappers the true meaning of community spirit. Usually drawing crowds of curious passers-by. Who needs butter when you can have tomato and olive oil on your toast? You can instantly recognize a Barcelona taxi via its distinctive black and yellow colour. Clar, it's a mica different to Spanish, but that's what makes it so special. So let's finish this article with a big adéu! The Weirdest Things you can do in Barcelona Discover the most unique and weirdest things to do in Barcelona to make your holiday super-interesting. How to celebrate Halloween in Barcelona Discover the origins of the "Catalan Halloween" and plans for a terrifying night out in Barcelona! Curious Barcelona Find out the most hidden tidbits of Barcelona that have been overlooked by many.